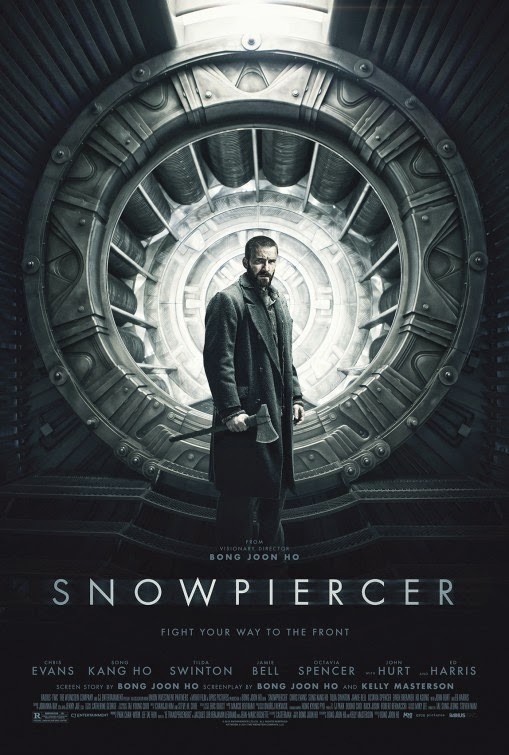 1) SNOWPIERCER – An anguished howl of rage disguised as post-apocalyptic thrill-packed nightmare, acclaimed Korean director Bong Joon-ho’s gritty, uncompromising and deeply unsettling sci-fi allegory is a revolutionary mission statement against the dehumanizing effects of capitalism. Set in an unspeakably bleak future, the film stars Chris Evans as a resistance leader guiding a cruelly subjugated group of earth’s last inhabitants on a vicious uprising through a hellish unstoppable train that divides its population by social class. Showing an astonishingly hyper-focused eye for world-building detail, black humor (Tilda Swinton, take a bow!) and visceral technical expertise, Joon-ho has engineered a haunting, smart and challenging feel-bad action extravaganza guaranteed to shock and awe. A passionately pure cinematic expression from its first frame to ambiguous last, Snowpiercer is, hands down, the coolest ride of 2014 and an unrelenting, axe-winging juggernaut of slam-bang, "fight the power!" cinematic release. 2) BOYHOOD – Twelve years in the making, Richard Linklater’s follow-up to the suberb Before Midnight, is a miracle of a movie, and maybe even his masterpiece. Chronicling the development of Mason (Ellar Coltrane), a quiet, curious Texas-born kid from ages five to 18, the celebrated writer/director achieves unassumingly profound heights in conveying the transformative journey of childhood and how our relationships shape and form what kind of adult we grown up into. It's a sensitive film of boundless warmth and poignancy - buoyed by fantastically realized, authentic turns by Patricia Arquette and Ethan Hawke as our lead’s divorced parents - that mesmerizes with its pleasantly relatable every day simplicity. At one point in the picture Mason, out for a walk for his father, inquisitively asks if magic exists in the real world. Watching Boyhood unfold is joyous proof that it does. 3) WHIPLASH – Words just can’t convey the spine-tingling electricity generated by the final moments of writer/director Damien Chazelle’s enthralling indie about one obsessively single-minded drummer’s battle to win over his draconian jazz teacher. Fuelled by the combustible, profane chemistry of dueling stars Miles Teller and a sadistically terrifying J.K. Simmons (give this man the supporting actor Oscar, already! 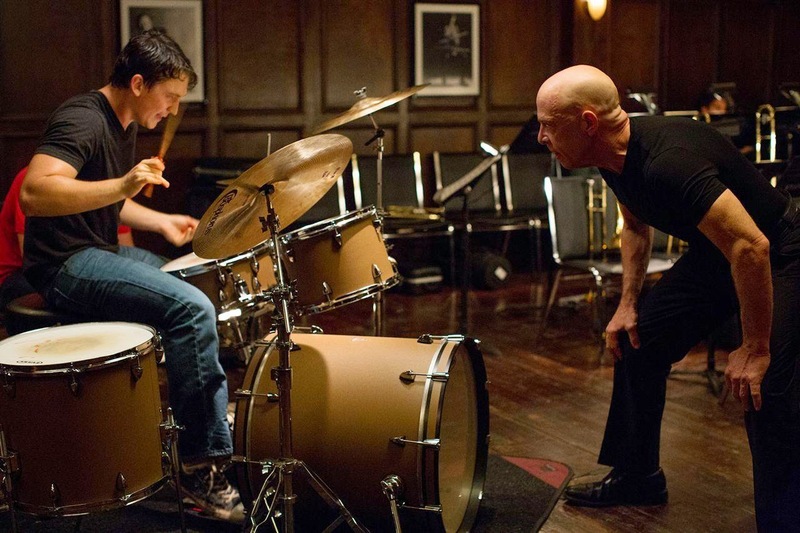 ), Whiplash is a superior take on the Rocky-esque underdog story that more than lives up to its title. Although the film poses tough questions about how best to foster artistic virtuosity, Chazelle never leaves an ounce of doubt that he’s in complete and total control of his own pulse-quickening gifts. 4) LIFE ITSELF – Given Roger Ebert’s immeasurable Pulitzer Prize-winning influence in the arena of film criticism, it would have been easy to crank out a superficial, fawning tribute to the man’s brilliance and impact. Thankfully, Steve James, the celebrated director of Hoop Dreams, resisted that urge. Loosely based on the legendary newspaperman’s memoir of the same name, the picture instead offers a warts and all glimpse into the mortal behind the icon, honing in on his industry-changing work, personal triumphs and failings, ravaging illness and the extraordinary marriage that gave him peace and strength. This is a genuinely moving, funny, surprising – the segments recalling Gene Siskel’s swinging single days are jaw-dropping – and perceptive documentary that acts as a majestic testament to both its subject’s legacy and his passionate zest for, well, life itself. 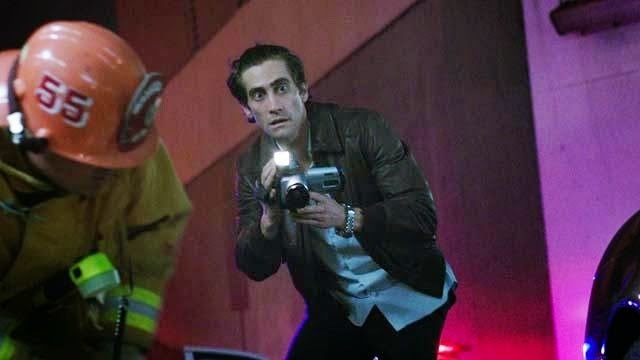 5) NIGHTCRAWLER – Plainly put, no performance last year was as riveting as Jake Gyllenhaal’s unnerving transformation into reptilian sociopath Lou Bloom, the soulless corporate slogan-spouting opportunist driving writer/director Dan Gilroy’s sinister L.A. neo noir. Emaciated, bug-eyed and operating like a detached alien wrapped in human skin, the actor hypnotically disappears into his juicy role as an observant, immoral loner who sets out to conquer the TV news world by capturing the most grotesque footage possible. A near perfect blending of live wire performance and moody, character-focused storytelling (recapturing the spirit of edgy 1970s classics like Network and Taxi Driver), Nightcrawler keeps you precariously on the edge of your seat, trying - yet never quite succeeding - to anticipate which way its unrepentantly slimy protagonist will veer next. 6) HOW TO TRAIN YOUR DRAGON 2 – A sensational family entertainment, this enchanting return trip to the tiny Viking island of Berk matches the first chapter in terms of pure eye-popping exhilaration and wonder, while adding an unexpected layer of darkness. Adapting Cressida Cowell’s best-selling children’s novels, returning writer/director Dean DeBlois has lovingly fashioned another delightful adventure yarn, full of heart and breathtaking sights, which also serves as a refreshingly mature warning about the importance of humane animal treatment and responsible pet ownership. How to Train Your Dragon 2 is also a pitch perfect case study in sequel world expansion done with imagination and wit, opening up intriguing new terrain for Hiccup and Toothless – one of modern cinema’s most winning creature creations – to spread their wings and fly. 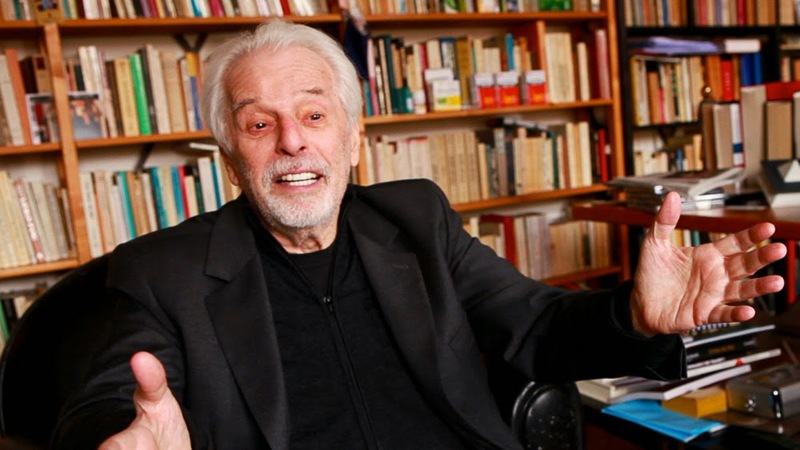 7) JODOROWSKY’S DUNE – There’s was never any doubt that Alejandro Jodorowsky, the surrealist Chilean director of such head-tripping hallucinogenic odysseys as El Topo and Holy Mountain, is one odd duck. However, as evidenced by Frank Pavich’s hilarious and engrossing documentary, he’s also a wonderfully engaging storyteller and thoroughly misunderstood visionary. A retrospective look at Jodorowsky’s failed attempt to adapt Frank Herbert’s science-fiction classic “Dune” into a bizarro artistic masterwork in the mid-70s, the film weaves priceless behind-the-scenes anecdotes, insightful critical commentary and page after page of beautiful concept art into an inspirational tale of thwarted genius nevertheless changing the cinematic landscape forever. 8) INTERSTELLAR – Filmdom’s premiere large scale showman Christopher Nolan may have bitten off a tiny bit more than even he could chew with this dense, sprawling and intensely immersive space-faring epic, but his go-for-broke ambition sure led to one awesomely invigorating trip to the movies! Containing huge sequences of indescribably gripping power, and plenty of emotional pull, Interstellar is an expert work of crowd-pleasing craftsmanship, made with sharp intelligence and an unrestrained dedication to grand sci-fi concepts and innovative motion picture spectacle. There’s a reason Nolan has become a reliable brand name, and this is yet another shining example of the moviemaker at the height of his powers, dreaming unabashedly big and inviting us all to join him on a remarkable and unforgettable trek into the unknown. 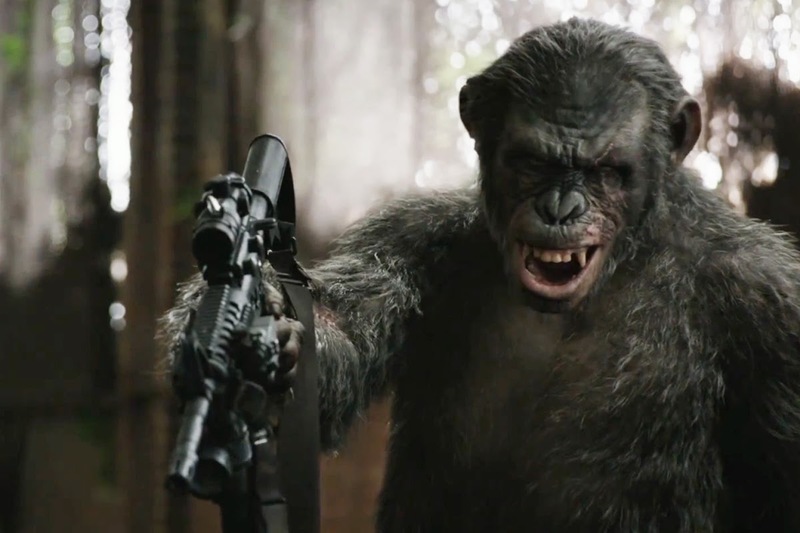 9) DAWN OF THE PLANET OF THE APES – It’s easy to bemoan the modern Hollywood blockbuster-crazy paradigm as being doomsday for riskiness in filmmaking. However, as long as canny artistic voices like Matt Reeves are able to smuggle their ideas into tentpole studio projects, interesting and complex pictures will emerge from the pipeline. And there was no better example of this phenomenon in 2014 than Dawn of the Planet of the Apes! This eighth (!) installment in the historically forward-thinking franchise tragically raises the bar set by its 2011 predecessor by painting a disturbing portrait of the dangerous fallacies of civilization across an impressive canvas of warrior apes, desperate, grime-streaked human survivors, terrible misunderstandings and shattering violence. Eschewing black and white morality, Reeves’ superlative entry – the best since the 1968 original – gazes deeply into the wounded souls of its characters, stressing the sad reality that the horrors of the past are ultimately fated to cast grim shadows over the future. 10) NYMPHOMANIAC – Controversial cinematic provocateur Lars Von Trier’s two-part magnum opus of button-pushing excess should probably have been unwatchable. A four hour meditation on female sexuality, maturation and, uh, fly fishing, Nymphomaniac is an utterly relentless, uncomfortable and overwhelming experience that follows its erotically fixated protagonist (fearlessly played, at differing ages, by Charlotte Gainsbourg and Stacy Martin) from her earliest stages of naïve experimentation to the darkest depths of self-destructive compulsion. And yet, despite the heaviness of its downward spiral structure, Von Trier infuses the film with so much energy, offbeat humor and engaging enigmatic oddness that it leaves you mentally unpacking its many mysteries long after you’ve dazedly reached its disquieting conclusion.